Azure Active Directory B2C provides cloud identity management for consumer-facing web and mobile applications. 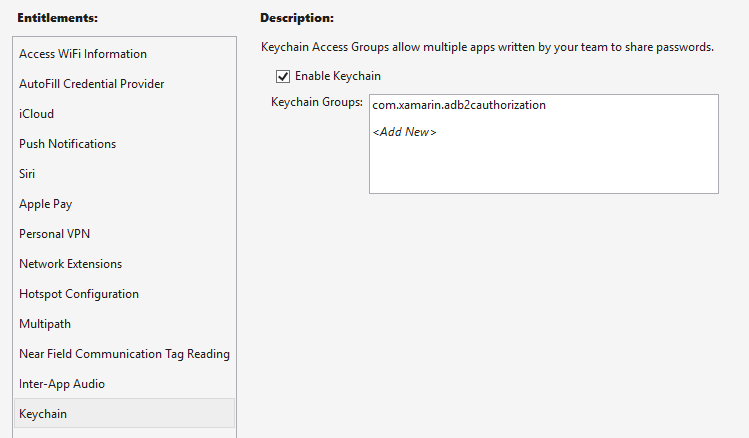 This article shows how to use Azure Active Directory B2C to integrate identity management into a mobile application with the Microsoft Authentication Library. Azure Active Directory B2C (ADB2C) is an identity management service for consumer-facing applications. It allows users to sign in to your application using their existing social accounts or custom credentials such as email or username, and password. Custom credential accounts are referred to as local accounts. 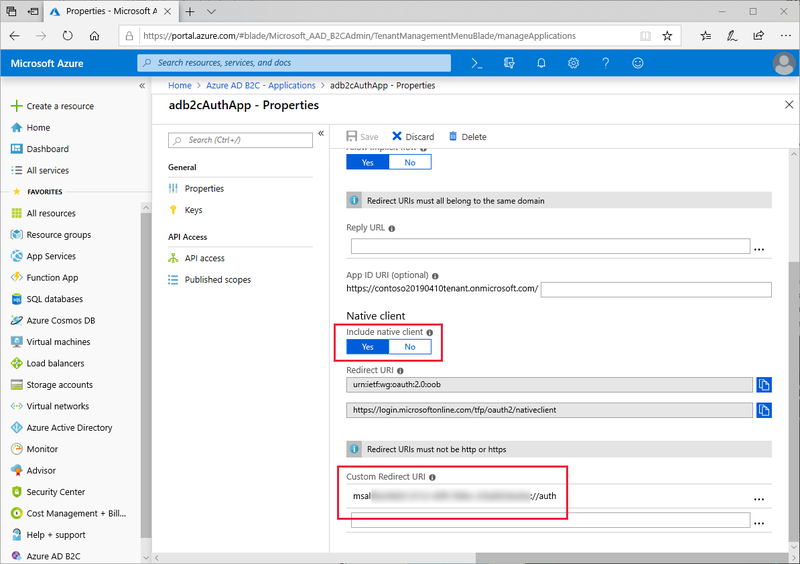 Use the Microsoft Authentication Library (MSAL) to start an authentication workflow with your Azure Active Directory B2C tenant. Azure Active Directory B2C supports multiple identity providers including Microsoft, GitHub, Facebook, Twitter and more. For more information on Azure Active Directory B2C capabilities, see Azure Active Directory B2C Documentation. Microsoft Authentication Library supports multiple application architectures and platforms. For information about MSAL capabilities, see Microsoft Authentication Library on GitHub. To run the sample project, you must create an Azure Active Directory B2C tenant. 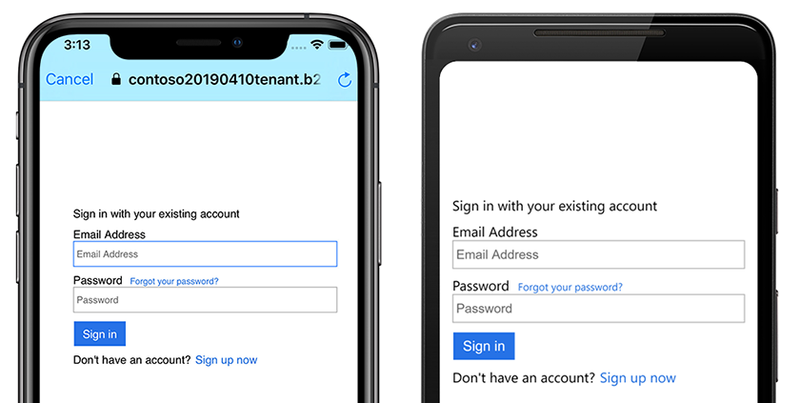 For more information, see Create an Azure Active Directory B2C tenant in the Azure portal. The URL will be used later in both the Android ApplicationManifest.xml and the iOS Info.plist. A policy is an experience users go through to complete a task such as creating an account or resetting a password. A policy also specifies the contents of tokens the application receives when the user returns from the experience. You must set up policies for both account sign-up and sign-in, and reset password. Azure has built-in policies that simplify creation of common policies. For more information, see Azure Active Directory B2C: Built-in policies. On iOS, the custom URL scheme that was registered with Azure Active Directory B2C must be registered in Info.plist. MSAL expects the URL scheme to adhere to a specific pattern, described previously in Register your mobile application with Azure Active Directory B2C. The following screenshot shows the custom URL scheme in Info.plist. On Android, the custom URL scheme that was registered with Azure Active Directory B2C must be registered in the AndroidManifest.xml. MSAL expects the URL scheme to adhere to a specific pattern, described previously in Register your mobile application with Azure Active Directory B2C. The following example shows the custom URL scheme in the AndroidManifest.xml. The MainActivity class must be modified to provide the UiParent to the application during the OnCreate call. When Azure Active Directory B2C completes the authorization request, it redirects to the registered URL scheme from the AndroidManifest.xml. The registered URI scheme results in Android calling OnActivityResult with the URL as a launch parameter, where it's processed by the SetAuthenticationContinuationEventArgs.